Sport Access Foundation now in its second year, core mission is to remove barriers to ensure our young Australians living with a disability can access sport. The reality is, our mission is much deeper than that. We exist to serve our young Australians, and as a Board, to exercise our individual gifts and capacity to build a greater, more connected community that empowers and strengthens our young children. Children with a disability teach us to be vulnerable and to accept our weaknesses. By doing this we are true to our purpose and to making a difference. In just 12 months, the number of applications for Sport Access Foundation grants increased from 27 in 2017 to 100 in 2018. This highlights the pressing need to help young Australians with disabilities, from all across Australia, to access sport. Costs associated with sport are experienced by all, but our young children and their families have added challenges and extra support is needed to guarantee they can fully engage in their chosen sport. 2018 Grants opened inFebruary and we were delighted to have the support of The June Canavan which supports programs that drive sustainable change through sports, access, health, education and conservation. The June Canavan Foundation provided $6,000 to fund the three grants. Thank you to Chairperson, Anne Gripper and to all of theBoard at The June Canavan Foundation for your support in our 2018 grants. We also secured the support of BMD Group to provide an additional fourth grant for $2,000 to a young child living with a disability of indigenous heritage in theNorthern Territory. Thank you to Richie Ward, the NT BMD executive and the BMD Group board for your support in launching this inaugural grant for Indigenous children. The SAF Board continued with the subcommittee for the grants process, comprising Bernadette Pilling, Martin Kelly and myself. Our role was to define the selection criteria processes and confirm an independent Selection Committee. The task of selecting the final four was challenging, and we are continually learning and refining our processes. Our fundamental guiding principles are Diversity, Ability and Potential and Accessibility and Need. We will implement a number of changes to improve our selection and application process for 2019 and a key change will be to provide our grants based on needs and by doing this we can start to have recipients applying alongside likeminded recipients in terms of their needs. We were thrilled to announce the four recipients at an event in Darwin supported by Finlaysons Lawyers, Property Council of NT and BMD Group. This even co-incited with a networking forum with PCA NT members of which I had the opportunity to talk about diversity and inclusion in the workplace and the work of Sport Access Foundation. Thank you to Darwin’s ABC Sports broadcaster Charlie King, for hosting this event. Finlayson Lawyers also hosted Sport Access Foundation Board Members to a client networking event and provided us the opportunity to share our Foundation’s work. 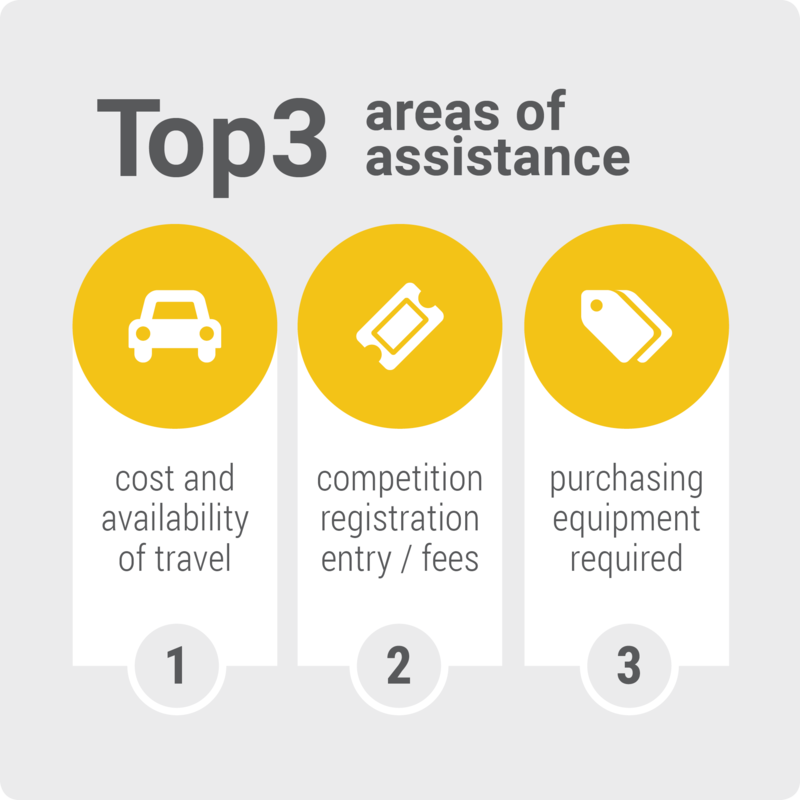 During the phase of announcing the 2018 grant recipients, Sport Access Foundation received positive media coverage across ABC, news.com.au, NT News and throughout a number of Sports industry news outlets. With two years of grant applicants, we are starting to gain a very clear picture of the needs, and at times the very difficult circumstances our young children face in accessing sport. Our 2018 included over 25 different disabilities, covering every state and territory, with almost an even split between gender, ranging from 5 – 17 years of age. We have much work to do in empowering and recognising all our recipients. We are in the early phase of setting up a Sport Access Foundation Youth Advisory Committee which will include representatives that have applied for a grant. This committee will serve to guide and inform myself and the Board on how we can improve and ensure our recipients can be more empowered, rewarded and acknowledged. We want to be doing more than providing a grant, we need to develop our program to ensure we can provide as much support and resources to help the recipients develop and grow in their everyday. In our first year, Sport Access Foundation received 27 applications. This year, when we launched the annual grants program, we received 100. Only being able to provide four grants was a challenge. There were so many worthy young athletes. 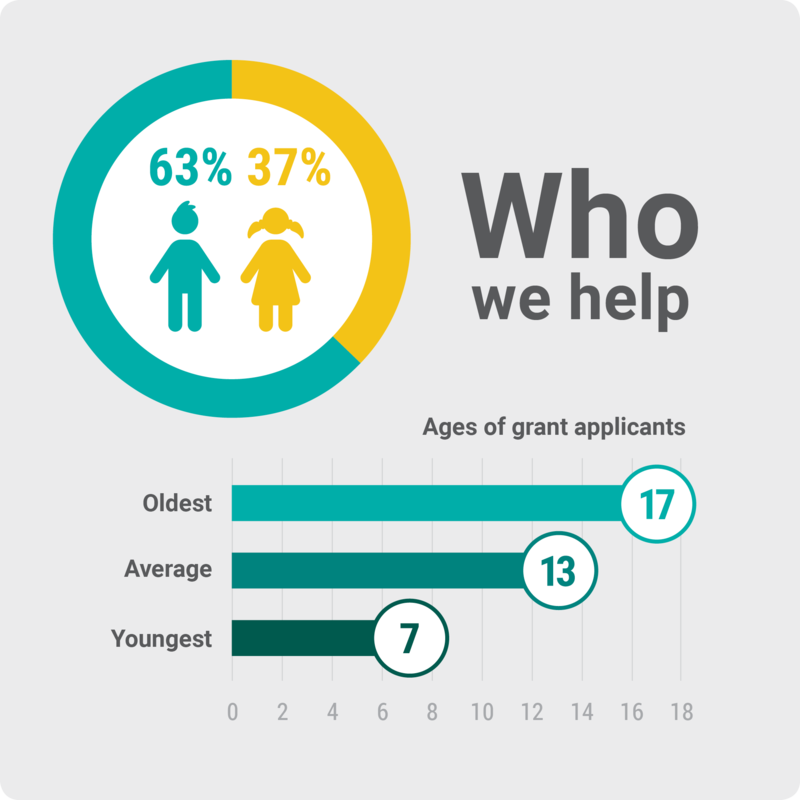 As Christmas loomed on the calendar, we wanted to find a way to thank the 96 applicants who’d missed out on a grant this year. We called on our amazing sponsors - BlueScope, BMD Group, Harvey Norman, King & Wood Mallesons and Tagzart Design - to help us out. With their support and our supporters, we are hoping to raise $50 for each young athlete. Today, Thursday 22 November we begin this unique campaign and over the 25 days we'll share the story of a number of these applicants on social media. Throughout this year I have been continuing to train as a full-time high-performance triathlete under Triathlon Australia’s High-Performance Coach, Dan Atkins. I train on the Gold Coast at the AIS Pizzey Park HQ and with Bond University. This year resulted in my third World Championship gold, with a third place in the Paratriathlon Vision Impaired race on the Gold Coast, with Holly Grice as my Guide. I also raced in Lausanne in August with Briarna Silk as my Guide in preparing for the World Championships. I am now training for the World Championships to be held in Lausanne in September 2019 – and continuing to work towards my long-term goal is to make the Australian team for the 2020 Paralympics in Tokyo. We know from reading your applications there is so much more to do. The task of selecting four applicants from 100 was an extremely difficult one. We have much more to learn and our work is only beginning. Hearing the struggles and challenges you have all overcome reminds us of the importance to provide a voice and share your stories to educate and raise awareness of the challenges you face in accessing sport. 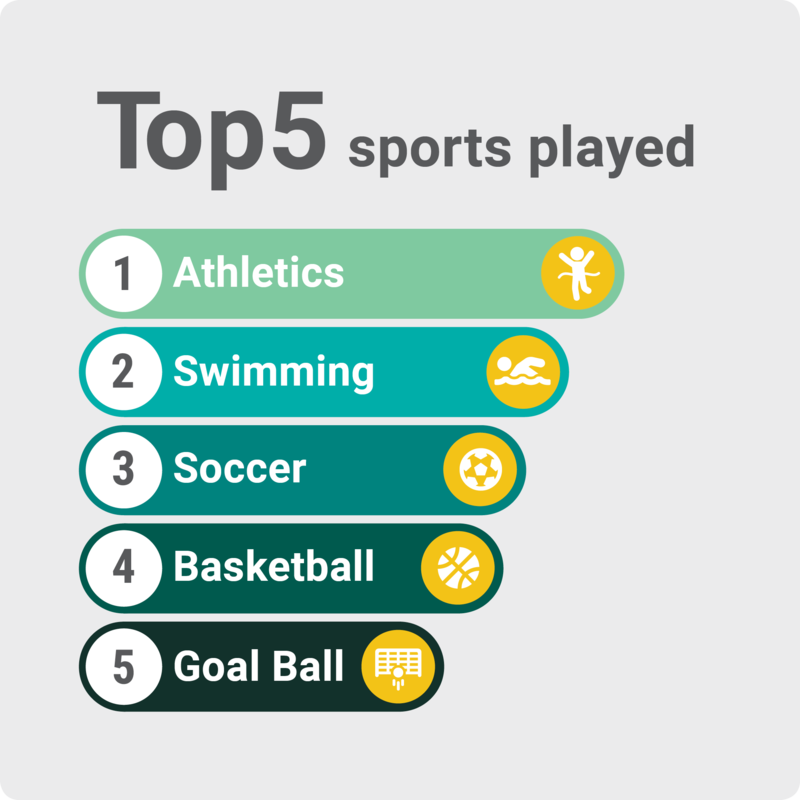 We thank you for being a part of this year's applications and we want to continually talk and engage with all of you to help you achieve your sporting dreams. BlueScope - Our founding partner, BlueScope have made significant investment with Sport Access Foundation in this calendar year. The investment in this phase of our partnership has been through the provision of senior BlueScope executives working with us to develop our short to medium term strategy plan. Following on from the Strategy Proposal Plan put forward to the Sport Access Foundation board in May, we then developed and agreed on our key focus areas for 2019-2020. Thank you to BlueScope and their executives Andrew Garey, Jillian Noad and Michael Capsanis for your incredible support and generosity in developing our Strategy. Harvey Norman - This year we had Harvey Norman provide further support to my own athlete pursuits and additionally providing support for me to continue the work I do with Sport Access Foundation. King & Wood Mallesons - They have continued to invest significant resources to overseeing and reviewing all our requirements in our day to day operations including contracts, our partnerships and funding arrangements. Thank you to King & Wood Mallesons partner, Adrian Perkins and your team, for your continued investment and resources to the Foundation. Roberts & Morrow - We are thankful for the support of Financial Advisers and Accountants - Roberts & Morrow including Partner, Sam Notley and his team provide support for our day to day financial operations. Their auditing team provide independently, our reports for the end of financial year and AGM. Tagzart Design - Tagzart Design provide all our digital and brand support and continue to provide their services to help us optimise our reach and influence. Zoggs Australia - Zoggs Australia provide outstanding products to help facilitate opportunities for children to swim, and their support is much appreciated. Claudia Schott - We are grateful for the outstanding support of Claudia Schott, Sport Access Foundation Business Administrator. Claudia works entirely in a volunteer capacity and manages the Foundation's day to day operations including monthly reporting. Morgan Lander -This year we engaged and had the support of Morgan Lander Advisory (Not on my Watch) who has guided us in our Strategy discussions. Thank you to Morgan for your outstanding advice and expertise. Board -To the Sport Access Foundation Board – thank you for your continued support and advice in this critical year of planning - Kristie Keast, Martin Kelly, Matthew Kelly, Andrew Martin, Rosemary McGrath, Adrian Perkins and Bernadette Pilling. Our Donors and Supporters -To all our donors and wider community for your continued support Sport Access Foundation has much to work to do, and returning to the words at the opening of this report, it is our duty and role to build our young children living with a disability and to understand and to listen to them. This year the foundation will provide four grants of $2000 each which can be used for any project that helps to build participation in sport to ensure that no-one gets left on the sidelines. Make a difference and make a donation that will go towards providing financial assistance and support to enable children with a physical disability to participate in sporting activities. The foundation holds a number of events each year to help raise funds and awareness, support kids to get involved and active in sport as well as providing information and advice.